The final rays of the dying sun glowed golden at the back of Vigan Cathedral. I can’t remember the number of instances I held off photographing this church. I have walked along its shadow numerous times before but I always hoped to catch and shoot it in better light. And finally there it was, in its entire splendor, just waiting for me to train my lens across its graceful facade and trip my camera’s shutter. 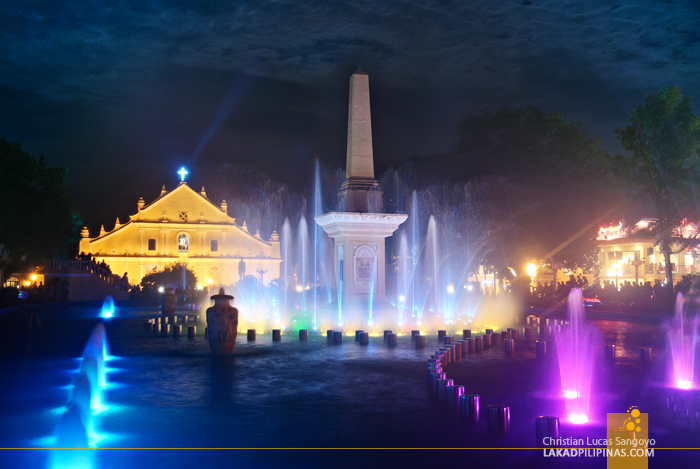 Part and parcel of the UNESCO World Heritage stamp that encompasses the whole city, Vigan’s St. Paul Metropolitan Cathedral stands as one of the town’s most prominent landmark. It sits in front of Plaza Salcedo where the dancing fountain is located. On its right is Plaza Burgos; while on its left sits the Archbishop's Palace of the Archdiocese of Nueva Segovia. 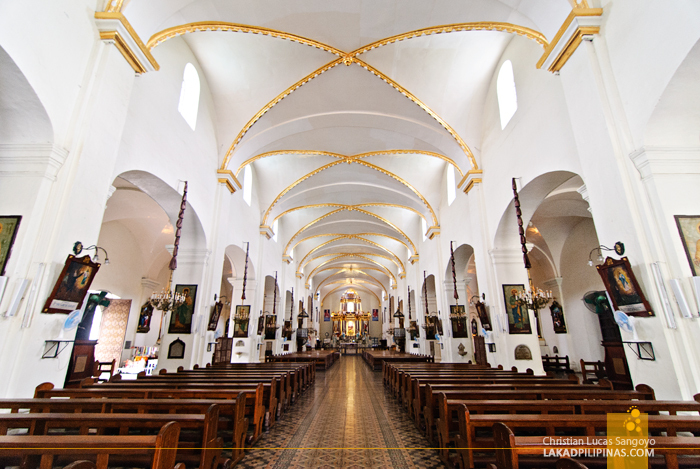 Unlike its counterparts in the Ilocos Region, the cathedral is made of adobe rather than coral stones. They do share something in common though when it comes to the mortar used to glue the materials together, egg whites and molasses. Its construction materials were prominently seen at its side walls and buttresses a few years back. But that was before it was recommended by a conservation group to have it plastered to avoid further damage. At first I thought the plaster was made of pure concrete, raising concerns over its method of restoration. It was only later that I learned that traditional lime, sourced from the nearby town of San Ildefonso, mixed with concrete was used. Although there are hints of Chinese, Romanesque and Neo-Gothic motifs along its facade, Vigan Cathedral is styled in the Baroque architectural tradition, with massive buttresses designed to withstand earthquakes. Its roof is finished in tiles or tegula, the first to have such in the whole region of Ilocos. Like a few of its northern counterparts, its belfry stands at the adjacent Plaza Burgos, ten meters away from the main body of the cathedral. A bronze weathervane shaped in fashion of a rooster, said to represent St. Peter, tops the three-storey octagonal bell tower. Twenty five meters high, it is as gracious as the church, especially when the fire trees surrounding it bloom in season. 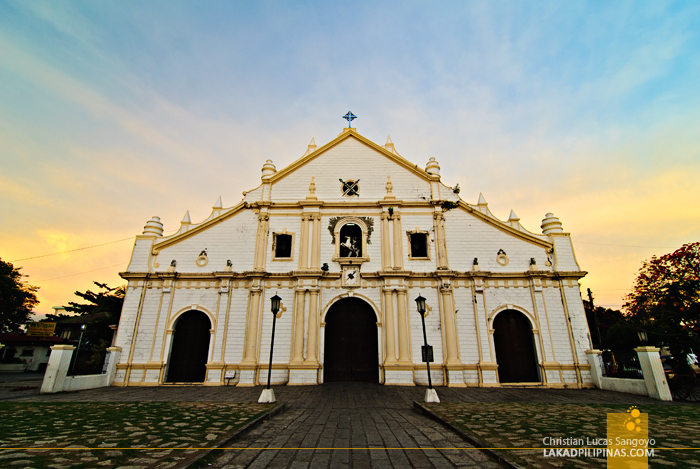 Commonly referred to as Vigan Cathedral, the church is dedicated to the conversion of St. Paul. 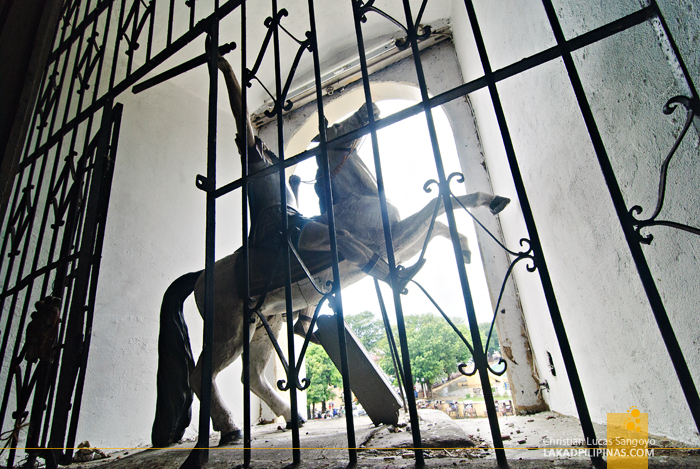 A statue of the saint sits at the center niche of the church facade, almost toppling over a neighing horse; the scene of his conversion to Christianity. 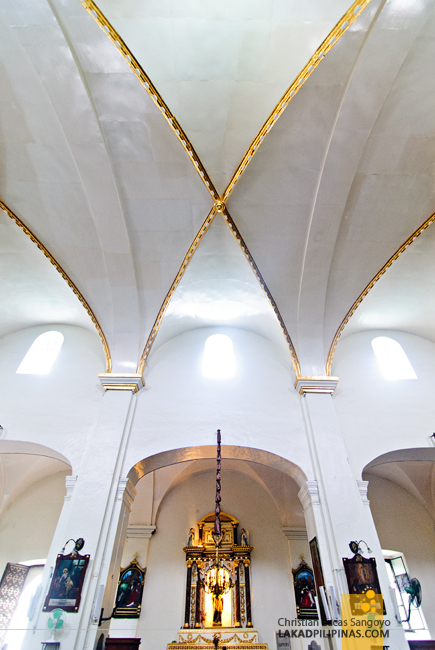 The church’s interior rivals its exterior in beauty. And the thing I immediately noticed upon entering, besides its ribbed ceiling, were the Machuca-like tiles used along its entire flooring. These are not tiles manufactured by Machuca though, but rather Baldosa tiles, a similar one made in the town of San Nicolas in Ilocos Norte. 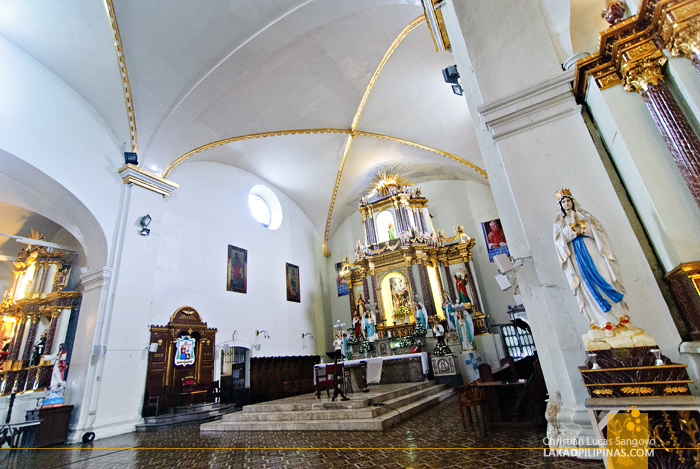 Construction of the first Vigan Cathedral was started in 1574, made from simple wood and thatch materials. A second version was put up by 1641. That however, was not the same cathedral tourists are now familiar with. Destroyed by an earthquake, it was restored before being razed by fire. The final reincarnation of the church was started in 1790 and was completed ten years after. 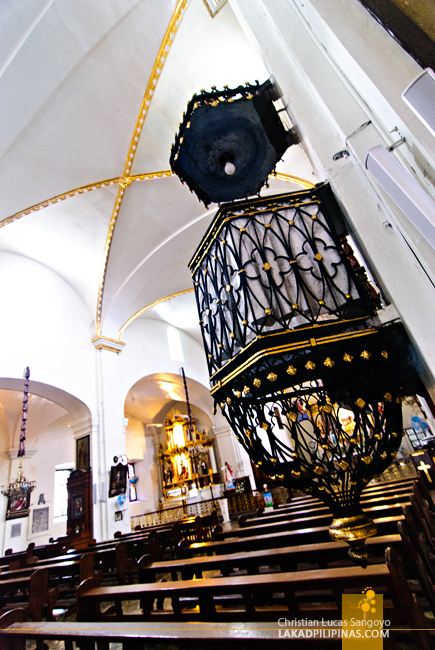 It is interesting to note that the cathedral has two intricate pulpits standing parallel to each other. They look to be made from wrought iron and were in very good condition. 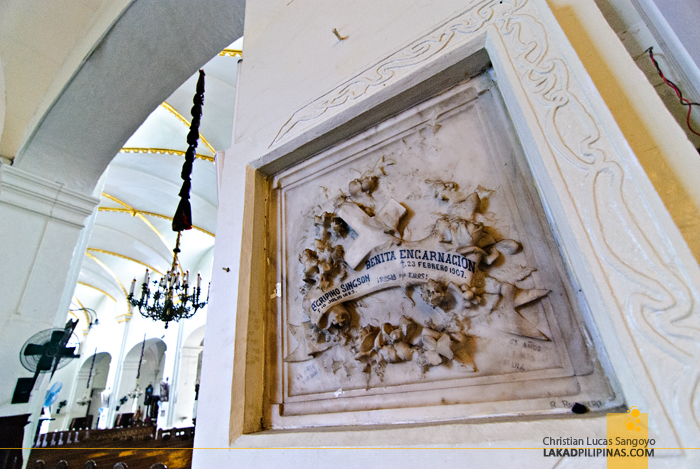 I’m not sure if these are original features of the church, similar to the one in Lazi Church at Siquijor, or just a later add-on to enhance the beauty of its interior. Walking towards the altar, I can’t help but notice the church windows. 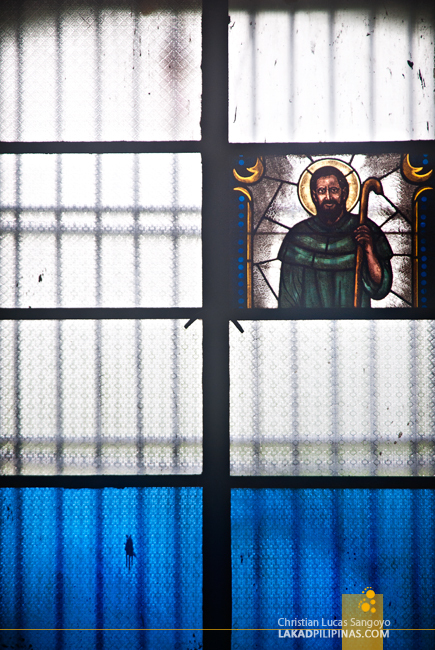 A few of them have beautifully detailed stained glass panels interspersed with plain ones. I asked our guide about it and he said that the detailed ones were originals from the old church, while the plain ones were simply replacements of broken panels. Reaching the church’s chancel, I gazed at the three-part Neo-Baroque, silver-paneled retablos of the cathedral. Our guide explained that the left one is dedicated to Apo Nazareno, while the right to Apo Birhen del Rosario. The central retablo, or retablo mayor, is said to be from the 19th century and is made from masonry and wood. 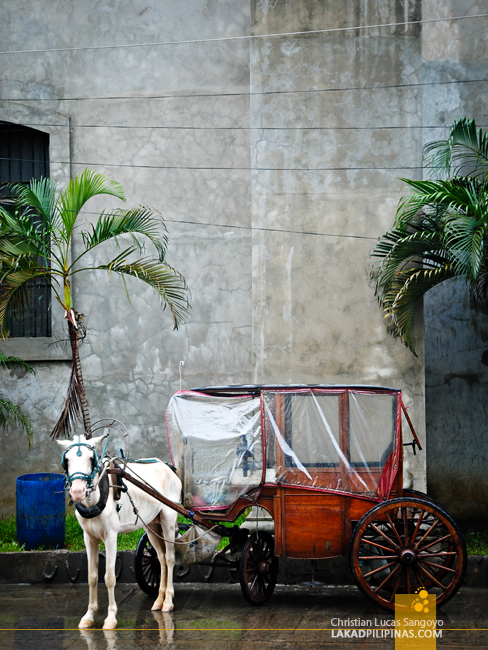 It is unimaginable to picture Vigan without its gleaming white church. 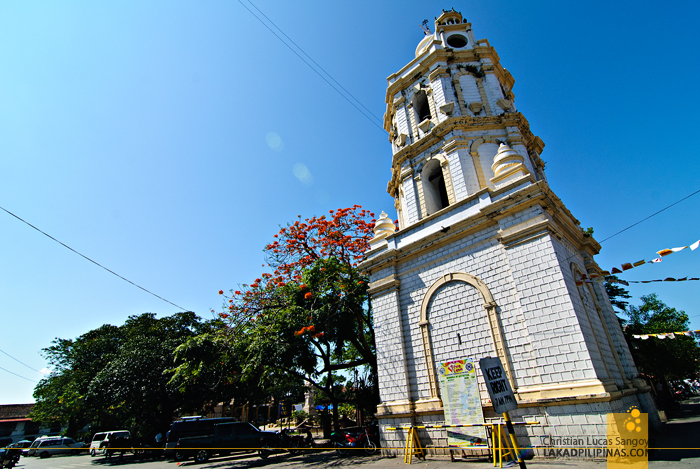 While Calle Crisologo might be inferred to as the old city’s life blood; the St. Paul Metropolitan Cathedral arguably stands as its beacon, its soul. 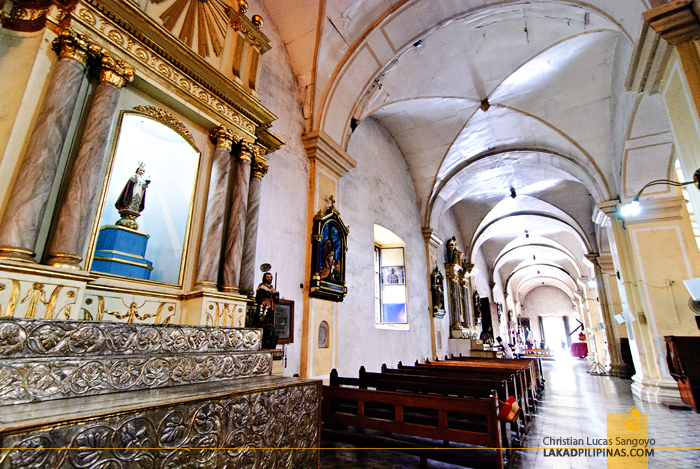 The cityhood of Vigan was approved mainly because of the existence of the Cathedral. 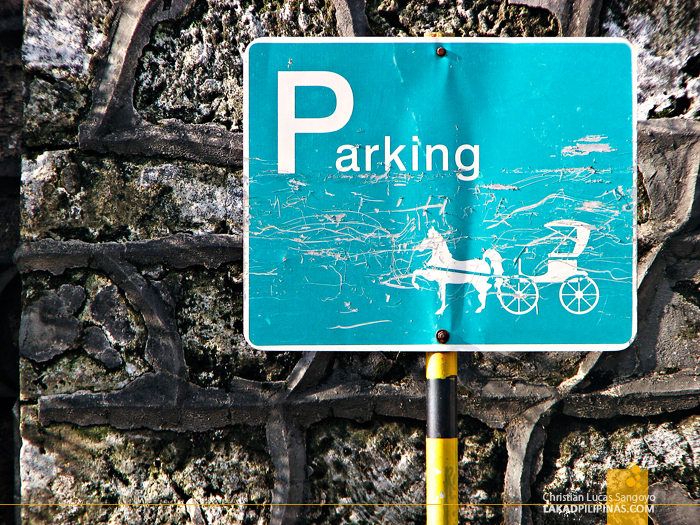 A royal Decree from Spain granted the cityhood of Vigan, thus it was called Ciudad Fernandina de Vigan during the colonial times. It was granted by the Philippine Congress the cityhood, because it states in the royal decree that as long as the Cathedral is standing, Vigan will always be a city. Today the City Government of Vigan is the repository of a certified true copy of the Royal Decree issued by King Fernando VI. It states among others, that so long as the cathedral stands and the seat of the diocese is in Vigan, it will always remain as a city. Thank you for that tidbit! 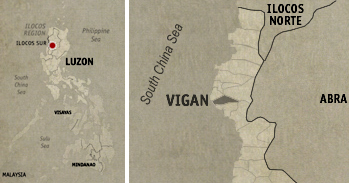 Sure is interesting to read about Vigan's history!